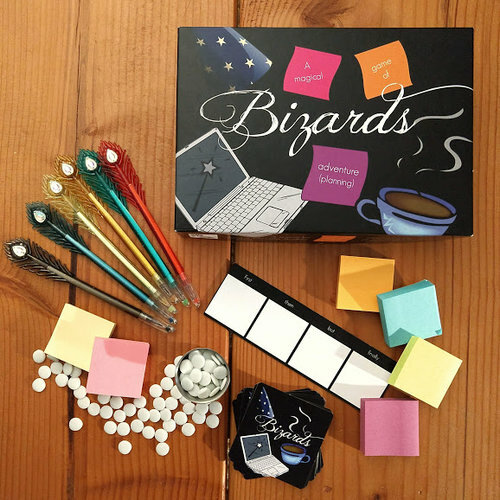 Bizards is a creative, collaborative party game for 3 to 6 players inspired by Agile Design—and the fact that wizards always seem to delegate all the really hard jobs. Both creative and socially strategic, this 30-minute tabletop title tasks players with planning an adventure. 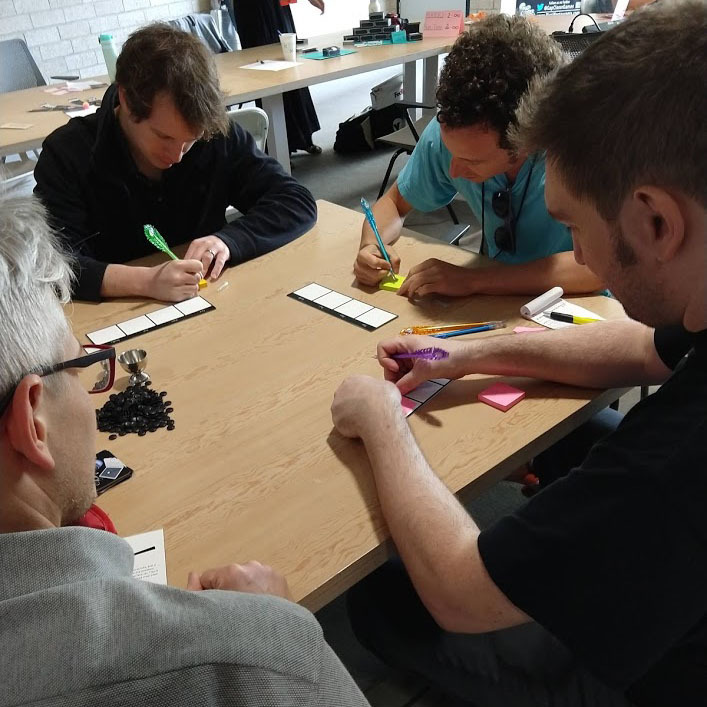 After drawing a card from the Problem Deck, players simultaneously write on sticky-notes, affixing them to Storyboards to create exquisite corpse-style sequential proposals. When these mini-stories are complete, the council plays a bidding minigame reminiscent of planning poker to judge the wisdom of each note. We submitted Bizards to IndieCade 2018, and playtested the game during the convention. Bizards is still in development and we expect to iterate on its ruleset throughout 2019, playtesting at the NYU Game Center Playtest Thursdays. Bizards is in search of a publisher!